You first heard from Daniel Redwood on OHH when he reviewed Norm Phelps’ e-book, Changing the Game: Why the Battle for Animal Liberation Is So Hard and How We Can Win It, and then after that when he gave us his take on The Polar Bear in the Zoo: A Speculation by Martin Rowe. 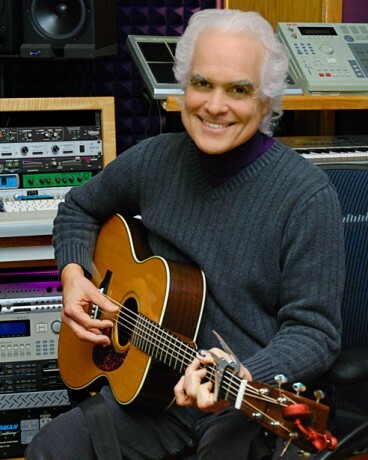 When he isn’t reviewing books, Daniel is a creative animal advocate and musician – as is evidenced by his recent CD, Songs for Animals, People and the Earth – a project that his wife, artist Beth Lily Redwood, spoke about lovingly when OHH interviewed her last year. 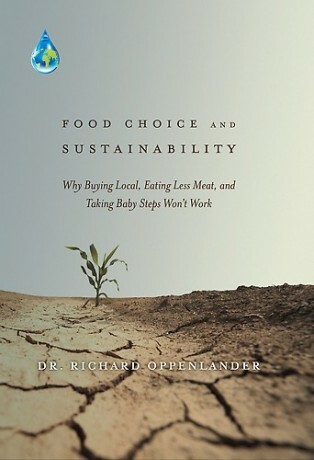 Today, I’m excited to bring Daniel back to OHH, this time to review Food Choice and Sustainability: Why Buying Local, Eating Less Meat, and Taking Baby Steps Won’t Work by Richard Oppenlander. Dr. Richard Oppenlander’s Food Choice and Sustainability: Why Buying Local, Eating Less Meat, and Taking Baby Steps Won’t Work (Langdon Street Press, 2013) is a comprehensive exploration of the profound and far-reaching environmental effects of eating animal products. Extensively researched, tightly reasoned, and very well written, it will likely be the reference work on the environmental effects of animal agriculture for years to come, and it belongs on the bookshelf or e-reader of everyone in the animal rights and environmental movements. 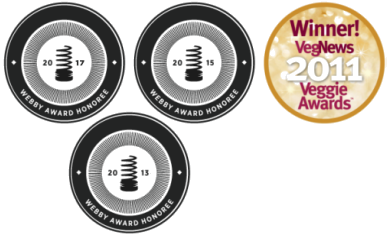 Because there are dozens of high-quality books on the ethics and health benefits of veganism, but precious few on its environmental impact, Food Choice and Sustainability is a major contribution to both causes. Building on the foundation established in his previous book, Comfortably Unaware: What We Choose to Eat Is Killing Us and Our Planet, Oppenlander analytically deconstructs numerous myths about food and sustainability, particularly those that assume the environment, and indeed civilization, can be sustained while animal products remain a significant part of the human diet. Certain facts in his narrative stand out in particularly stark relief, undercutting such assumptions at the roots. Fact #1: 45 percent of the Earth’s landmass is now devoted to livestock. This astonishing statistic is one among many underscoring the magnitude of the current crisis. Throughout the book, Oppenlander chooses his references carefully and documents their sources so that they can be quoted with confidence. For example, the 45 percent figure is from the International Livestock Research Institute and includes land used for grazing and land on which plants used to feed livestock are grown. While deforestation and the burning of fossil fuels are the chief drivers of global climate change, upon digging deeper it turns out that each of these would be far less damaging if livestock farming operations were eliminated (as Oppenlander consistently proposes) or even substantially decreased (which in itself would mark a major step in the right direction). Deforestation, we learn in this book, does not occur in a vacuum. For centuries, our planet’s forests have been cut down primarily to create more land for grazing cattle. Fact #2: 70 percent of all deforested land in the Amazon has gone toward creating land to raise cattle. Fact #3: Worldwide, 91 percent of all rainforest land deforested since 1970 is now used for grazing livestock, much of it for export from poorer nations to richer ones. The scale of the environmental destruction is almost too large to grasp. And it is still accelerating. At the thematic heart of Food Choice and Sustainability is the need to avoid incorrectly defining the term sustainability. Oppenlander points out that when people get the definition wrong, their proposed solutions will lead full speed ahead in the wrong direction. Because sustainability is difficult to precisely define and has been misused so often, he advocates speaking of “relative” or “optimal” sustainability. The key issue is that a sustainable system must not substantially or irreversibly deplete nonrenewable resources. In case after case that he meticulously documents, animal agriculture fails on nearly all fronts. Unfortunately, in current political and public policy debates, resistance to seriously examining the unsustainable impacts of animal agriculture is deeply entrenched. 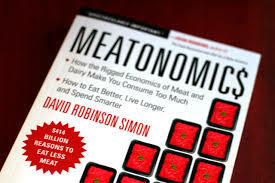 Oppenlander suggests that this situation may be because the meat eating leaders of corporations, governments, and the environmental movement refuse to give credence to evidence that would require them to question their own dietary habits. Fact #4: There is more than enough food to feed the world’s population today, and even enough to feed the nine billion people projected to be alive in 2050. But because half of the world’s grain and three-quarters of the coarse grain are fed to livestock rather than directly to people, many millions of people face starvation or food insecurity at the same time that resources are being depleted at a shockingly unsustainable pace. Fact #5: The world’s great aquifers, including the 12-million-year-old Ogallala Aquifer under the American Midwest and the San Joaquin Aquifer under California’s Central Valley, are being depleted at unsustainable rates that will lead to a substantial decrease in available water during this century. Fact #6: Between 50 and 75 percent of the water withdrawn from the world’s largest aquifers is attributed to livestock and the crops grown to feed them. Fact #7: Depletion of the oceans is proceeding at a breakneck pace, with fish populations in places like the Grand Banks and Georges Bank in the Atlantic now at barely one percent of their former numbers, while overfishing has also contributed mightily to the devastation of the world’s coral reefs. Fact #8: At current rates of animal food consumption, we would need two Earths to feed everyone expected to be alive in 2030. As Oppenlander makes clear, we have the ability to feed everyone, now and in the future, but only if we change the types of foods we consume. As long as meat and other animal products are part of the equation, the problem is not solvable. Fact #9: From the perspective of sustainability and the prevention of global depletion, grass-fed livestock operations are not more sustainable than factory farms. As Oppenlander demonstrates, they are far less sustainable, with neither approach coming anywhere close to the sustainability achieved with plant-based agriculture. The negative environmental impacts of animal agriculture will grow more pronounced if current trends continue and meat eating at Western levels is adopted by an increasing percentage of the world’s population. Claims to the contrary are a cruel hoax. It is true that grass-fed livestock farms use less grain and less fossil fuel than factory farms (though much more than the plant-based organic agriculture Oppenlander advocates). Persuasively refuting the myth that grass-fed livestock operations are sustainable, he documents that such farms increase greenhouse gas emissions, worsening climate change; vastly increase the inefficient use of the minimal land remaining; use water at catastrophically unsustainable rates; severely pollute soil and water; increase the rate of global biodiversity loss due to increased loss of habitat and disruption of natural food chains; and contribute to world hunger, in part because raising meat averages yields of a few hundred pounds of food per acre while plant-based farms average thousands of pounds per acre. Fact #10: Eating locally grown plant food brings many health and environmental advantages. However, contrary to myth, even a 100 percent locally sourced diet that includes typical amounts of animal products uses more fossil fuel than a plant-based diet of foods trucked 1,500 miles. The reason is that transportation from farmer to retailer accounts for only 4 percent of the greenhouse gases emitted in the entire food production process. The evidence Oppenlander presents is wide ranging and extraordinarily compelling, the result of his decades of study, personal visits to hundreds of farms of all types, Oppenlander’s extensive travel to the frontlines of environmental depletion in both developing and developed nations, and, last but not least, his direct experience co-creating and co-managing with his wife, Jill, a sanctuary for rescued farmed animals in rural Michigan. It is fair to say that few people alive today bring this breadth and depth of expertise to the task of finding solutions to the unsustainable path humanity now travels. Food Choice and Sustainability is a major work, a tour-de-force that has the potential to shift the sustainability debate to a much higher level. Daniel Redwood is a vegan singer-songwriter whose new album of animal rights music, Songs for Animals, People and the Earth, can be heard and downloaded at his website. He is also a professor at Cleveland Chiropractic College – Kansas City. Wow - the facts you mentioned from the book are startling and sobering. Thanks for reviewing the book - I'm definitely going to be adding it to my reading list. Great review - crucial information. Dr. Oppenlander should be required reading for everyone, particularly today for legislators in drought-ridden states. Don't worry about restricting car washes and watering the lawn, shut down the diary and meat industries! 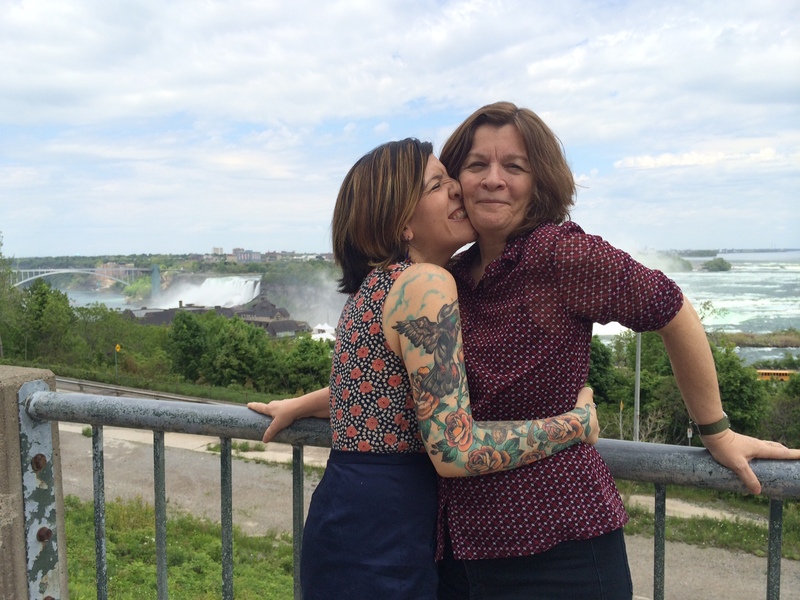 Thanks for bringing Dr. Oppenlander's important work to the fore. 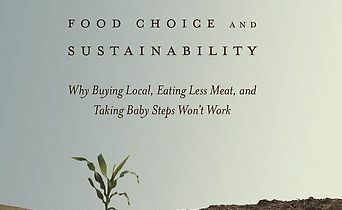 Food Choice and Sustainability is an imperative read. 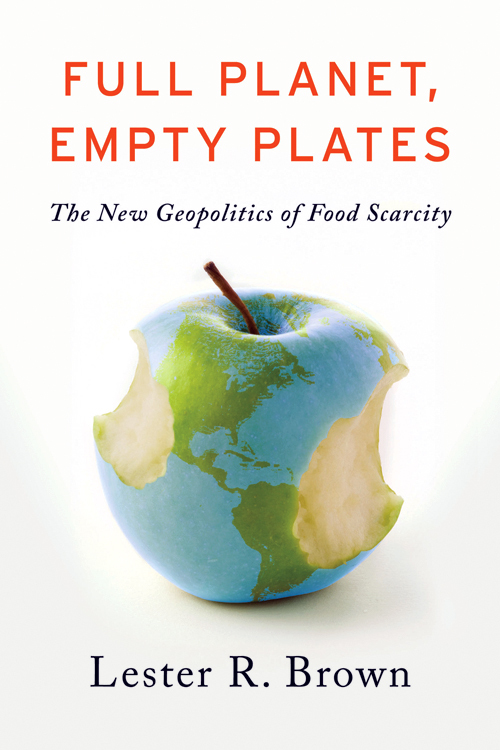 Unlike any other health/environmental sustainability author, "expert" or consultant, Dr. Oppenlander appropriately addresses food choice as it relates to human health and what he refers to as "global depletion". His message effectively and brilliantly evokes that what we choose to eat directly jeopardizes not only our planets survival but our own survival as a civilization. Food Choice and Sustainability provides a comprehensive toolkit for an actual solution.